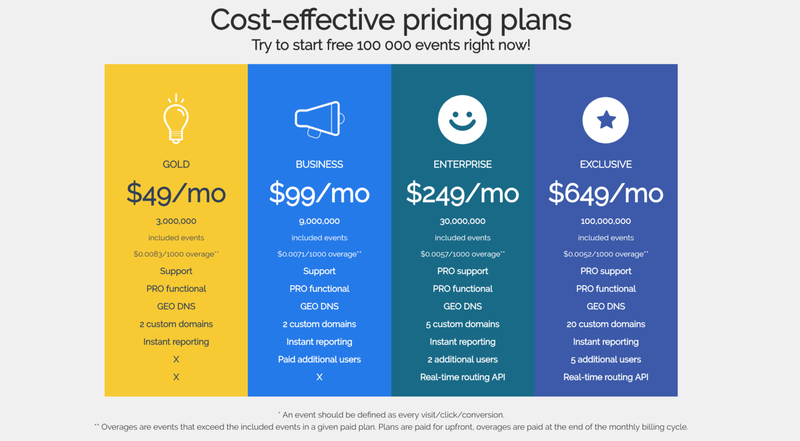 Peerclick is an end-to-end solution for performance marketers, media buying teams, agencies, and — of course — affiliate. The platform gained much recognition as a performance tracking solution and is considered by many to be the best in the industry. Recently, they have stepped up their game by developing more new features . Could this be a game changer in the performance marketing world? There’s no doubt that PeerClick is a serious player when it comes to tracking the performance of advertising campaigns. Its users generate over $1.5 billion of revenue annually, which pretty much speaks for itself. Smoothly working granular reports, post-install analytics, and flexible campaign setup makes A/B testing and optimizing media buying for a lifetime value just a matter of a few minutes of work. For those who prefer to work via the API — it’s pretty well documented so you won’t have any problems setting everything up and sending requests to PeerClick. The platform works in a SaaS model, which is a strong advantage over using your own tracking solutions. You can work on your campaigns on the go, as the data is stored in the cloud and can be reached via an app hosted both on the App Store and the Google Play Store. Plus, you can always scale up or scale down, depending on your performance. There are plenty of pricing plans to suit your exact needs. PeerClick is hosted on six data centres situated in different parts of the world. Practically, that means your data is always processed, safe and sound. Even if one data centre was down, the traffic would automatically be redirected to the next closest server. We’re talking about a level of security comparable to banking standards here, so you don’t have to worry about your data at all. It’s also worth mentioning that PeerClick is constantly updating its anti-fraud solutions. The platform is integrated with a third party solution, and they have their own as well. It’s crucial for media buyers, as bot traffic is a big problem these days. In PeerClick, everything is filtered even before you bid. In fact, all the traffic you see in the platform is already filtered. Setting up campaigns in many native ad exchanges can be time-consuming. Going back and forth to about 20 traffic sources takes, on average, about five hours. But in PeerClick? It’s just five minutes! It’s great to have all the sources in one place. All you have to do is just check off what suits you. Then, to optimize every aspect of the campaign, you just adjust them in PeerClick’s panel. That’s it! All of this is only possible due to the constantly growing list of PeerClick partners. As of this writing, they have more than 20 different native ad exchanges integrated. It saves time, for one thing, and for another, your reach can be increased big time without much effort. When doing performance marketing, you need to be constantly checking to see if everything is going well. In PeerClick, you can take a break whenever you want, as there’s an auto-optimization feature that seems like an autopilot. 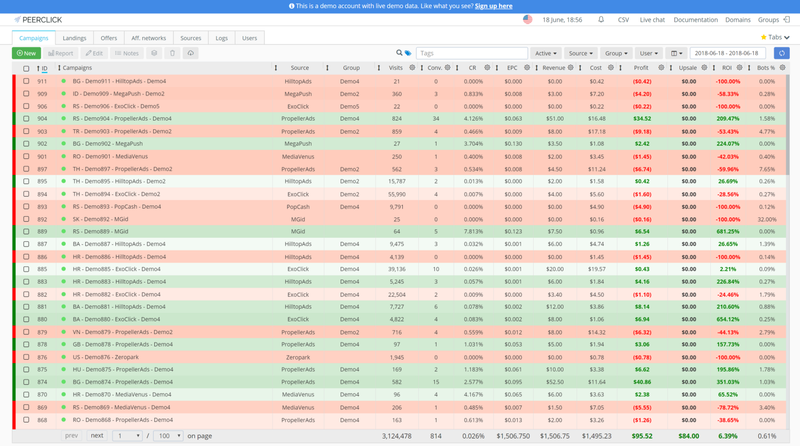 The algorithm keeps the campaigns on the right track by adjusting the bids and disabling anything performing poorly, like traffic sources, creatives, and many other assets. Although it looks like it’s mostly dedicated to performance marketing, PeerClick can benefit many affiliate . For example, if you are promoting your website through multi-channel campaigns, you can track your performance in just one place, just as a publisher would. You’ll get the same real-world insights into your traffic, no matter what ad exchange you are using. 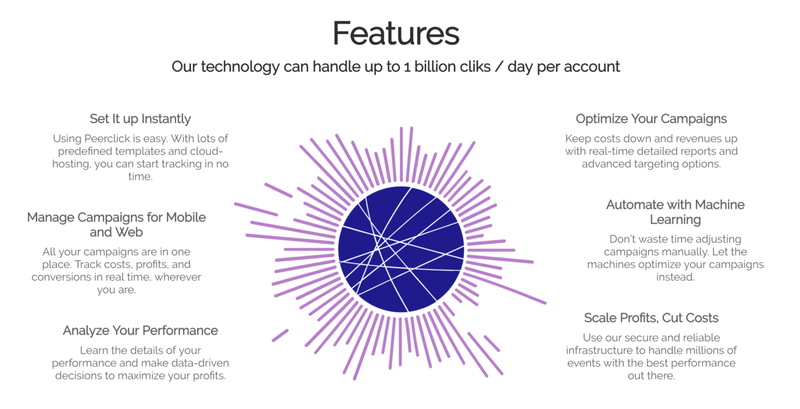 There’s no doubt that PeerClick is a must-have for every performance marketer out there, but it also has a lot of benefits for affiliate. If you’re still on the fence about using it, check this out: We’ve asked PeerClick for discounts especially for you. With the code below, you’ll get a 30 days freee GOLD plan. Where’s the catch? The number of account activations with the coupon is limited.